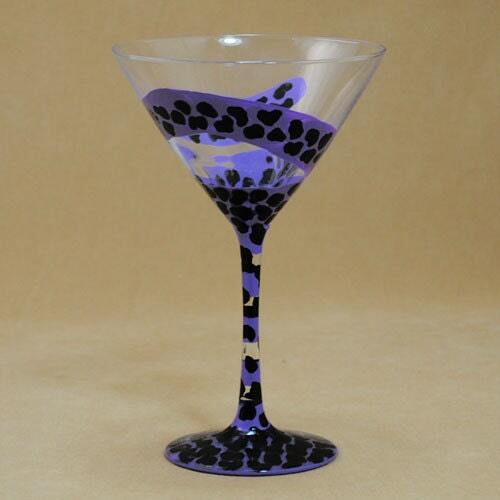 This Hand Painted martini glass was painted in a swirling bright purple background. The design was inspired by Wilma Flintstones one shouldered dress. Originally part of a set (1 lime green, 1 hot pink, 1 bright blue and 1 bright purple), this one somehow got left behind. You can see the entire set on our website but this one and the purple somehow were left on a shelf, so since we are doing our Spring Cleaning... You can have this at a very special price.